A high quality, dependable range bag that is large enough to hold all of your gear, yet small enough to be comfortable to carry at the range is the core of your shooting range essentials. It is imperative that your range bag always fulfills your needs on the range. A 3-Gun shooter may not need what a competitive sporting clays shooter may need or a weekend handgun enthusiast may not need what a competitive pistol shooter may need. For the sake of this article, I am going to focus on sporting clays but keep in mind that much of what is packed in my representation of a “PERFECT” range bag can be used across the board, little customization would be needed. There are a wide variety of range bags on the market from small to moderately large bags and an array of types of material and colors; even pink range bags such as the Bulldog Deluxe Range Bag for those ladies who admire pink gear. 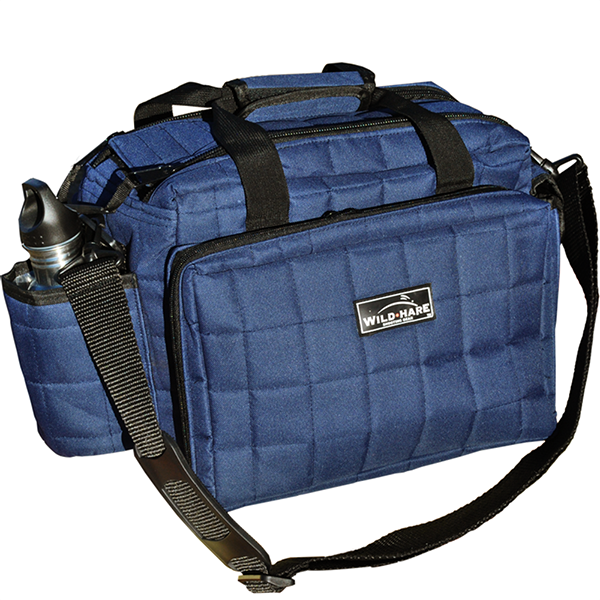 A padded, waterproof bag with several compartments, short carry handles and a padded shoulder strap will not only protect your gear but also bring you years of service even with rugged use. Avoid cheaper bags, they simply will not hold up over time and ultimately will cause you to spend more money in replacing them. I personally prefer the quilted, waterproof Wild Hare Deluxe Tournament Bag, which incorporates a wide contoured shoulder strap, several zipper pockets of varying sizes and an insulated bottle holder. My favorite feature is the bag’s ample size of 12”Dx14”Wx9”H and the lifetime warranty makes this range bag a wise investment. 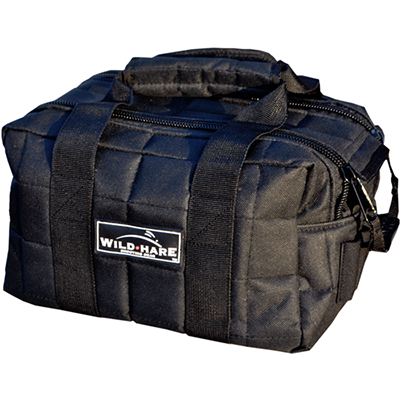 Wild Hare Deluxe Tournament Bag is roomy enough for a lot of gear and offers a lifetime warranty. Available in two colors. The absolute most important items for the range are eye and ear protection. There is no excuse for a shooter to not have both on hand. There is a price to fit every shooter’s budget from foam/rubber earplugs, economical earmuffs, and electronic earmuffs to the higher end digital inner ear protection. A shooter that would only frequent the range a couple times a year would benefit in purchasing the foam plugs or an economical set of earmuffs or the new Otis EarShield band style ear protection. Earmuffs like Pro Ears Predator Gold are available with electronics that will allow the shooter to comfortably hear conversation level sounds and voices; this type is perfect for those that may getting instructions or being coached. Shooters that frequent the range more often should invest in quality hearing protection that will bring them many hours of use in various weather conditions. Otis Ear Shield is the newest product by Otis Technologies and offers comfortable ear protection while on the range with Sound Reduction Chamber Technology allowing the shooter to hearing speech clearly. For me, the digital Electronic Shooter’s Protection-ESP is my number one choice of ear protection because I spend more time around gunfire than the average shooter. The ESP digital model works so well that I even wear them hunting. As a backup for rainy days, I have an economical pair of waterproof custom-molded silicone earplugs from Ear Plug Superstore. Electronic Shooters Protection ESP available in four models offers the most advanced protection available in ear protection, allowing the wearer to hear normal conversation while blocking sounds of higher decibels that cause permanent damage. 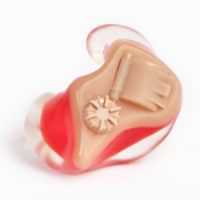 EarPlug Superstore Custom Molded Silicone Plugs offer full-custom fitted hearing protection that are comfortable and offer weatherproof protection on the range. Eye protection is not only important to protect your eyes from gun powder residue, shell particles, clay shards or other debris, they can also assist a shooter by improving visibility of the target with a variety of colored lenses. There are many options of protective eyewear ranging from prices less than $10 to over $300 a pair or kit. I have used the Remington T-40, and the Radian Crossfire TL-11 set lens frames. I prefer the multi-colored lens kits for sporting clays such as the Smith-Elite Aegis ARC Eyeshields because I like to use the lens that will allow me the best clay contrast and visibility against the sun and sky combination that I will be shooting in. I have used the Browning Claymasters Shooting Glasses kit, Revision Sawfly Shooter’s Kit and my preferred eye protection is the Rudy Project Rydon five-lens kit. 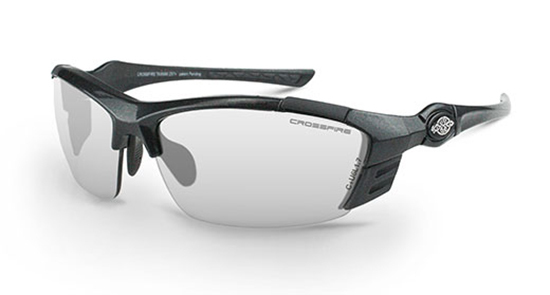 Crossfire TL-11 offers superior eye protection in a stylish, unique look. 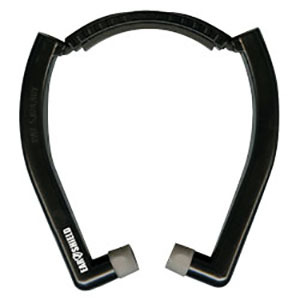 The nosepiece is adjustable and the temple grips add stability and comfort. Rudy Project Rydon Shooting Kit comes with the Rydon frames in your choice of color and a five-lens kit that can be customized. The kit comes in a crushproof roomy zippered pouch that includes a carrying sleeve and cleaning cloth. The nosepiece and temples are customizable to fit your face and head. Often, you can find kits that include ear and eye protection together such as the Glock Range Kit that includes quality shooting glasses, earplugs and earmuffs. It is important to use a quality shooting vest or waist-worn shell bag to keep your hands free to properly use your shotgun. You should look for a vest that is fully adjustable depending on the season and layers you may be wearing and one with plenty of roomy pockets like the MizMac Perfect Fit Mesh Vest or the Wild Hare Heatwave Mesh Vest. Both of these vests are designed with larger armholes and adjustable waists so you can actually wear them comfortably over layers in colder weather. If you prefer a waist worn shell bag, the Wild Hare Deluxe Divided Shell Pouch or Uncle Mike’s Shooters Bag are both roomy enough to hold two boxes of shells and still have a pocket for spent rounds. 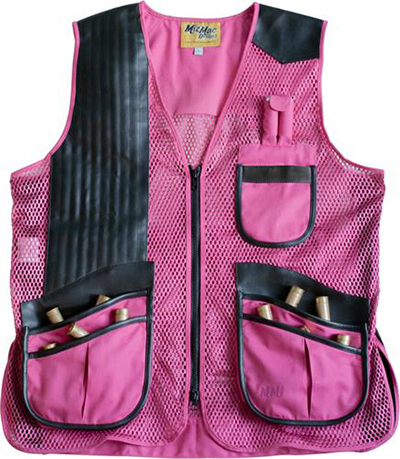 MizMac Women’s Perfect Fit Mesh Vest is a newly designed, fully adjustable shooting vest with the woman hunter in mind. This vest incorporates an adjustable waist, double-end zippers, expandable pockets, a reloader’s pouch, zippered interior pockets and a breast pocket. The larger armholes offer additional room for comfortably layering. Keeping your shooting vest or shell bag packed inside your range bag is always a good idea so it does not get left behind. A folded vest is compact enough to fit perfectly in one of the roomy side pockets of the Wild Hare Deluxe Tournament Bag. 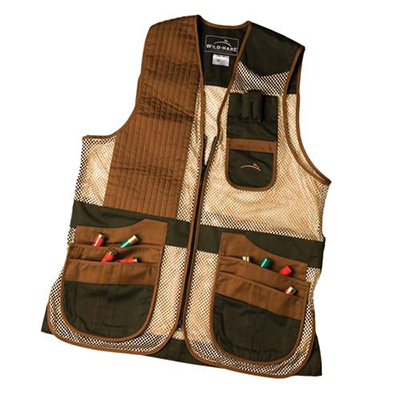 Wild Hare Men’s Heatwave Mesh Vest offers superior fit, Velcro waist adjustment, reloader’s pouch, double-end front zipper, recoil pad pocket and numerous, large expandable pockets for the perfect performance. I prefer to store and carry my ammo in a separate shell bag because of the weight the four to six boxes of shells adds to your range bag. Storing your ammo in a bag such as the Wild Hare 6-Box Carrier makes it convenient in carrying your ammo while at the range. 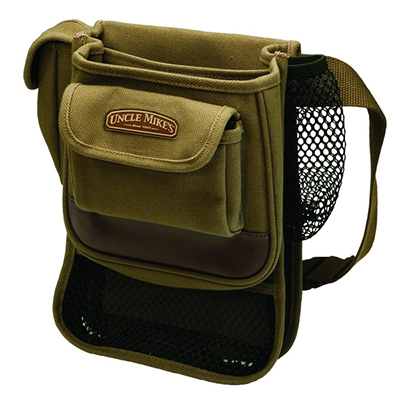 Uncle Mike’s Shooter’s Bag a convenient canvas and mesh waist belt worn shell pouch with divided pockets. Can hold up to two boxes of shells. Wild Hare 6-Box Carrier offers waterproof protection for you ammo boxes in a convenient way to store and carry them at the range or in your vehicle. A well-packed range bag should include a small toolkit or gun tool such as the Real Avid Shooter Multi-tool, a quality choke tube set with a choke wrench, choke tube lube, a reusable silicone gun cloth similar to the Birchwood Casey Gun & Reel Silicone Cloth, a compact cleaning kit such as the Otis Shotgun Cleaning Kit, or a Hoppes Bore Snake, or even a simple cleaning rod kit with a few cleaning pads and solution. I also keep a penlight in my range bag in case a barrel needs to be inspected. It is wise to keep your shotgun in a gun sock when riding electric carts from one station to the next if you are on a dusty course; or, for more protection, the padded Wild Hare Gunboy. 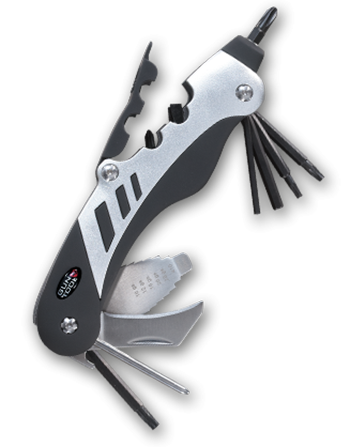 Real Avid Gun Tool is a gunsmith specific multi-tool that can be used on the bench, at the range or in the field. Includes a variety of gun specific tools in one unit, including a choke wrench. 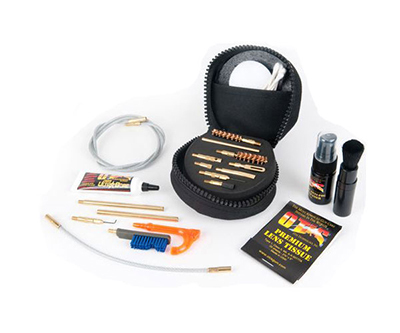 Otis Cleaning Kit a compact kit that incorporates everything necessary for quick cleaning in the field or on the tailgate. Available in various models. It is always a good idea to have a small first aid kit such as the Adventure Medical Kits Travel Kit for cuts, abrasions, or if medication is needed for aches and pains. Packing a small lint-free towel, extra batteries for any electronics, an extra pen, a rain poncho in a small pouch, gallon and quart sized Zip Lock bags for your electronics should it start raining or to keep small items contained. I also keep a folded large trash bag in the bottom of my range bag that can be used for many things should the need arise. 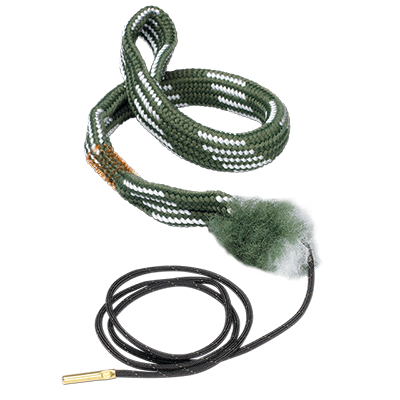 Hoppes Bore Snake offers the fastest bore cleaning available with one pass loosening large particles, scrubs out the remaining residue with the braided in bronze brush, then swipes it clean with the poly body of the snake as it is pulled through. Wild Hare Gunboy is quilted, waterproof protection for your shotgun that incorporates a convenient shoulder strap, metal snap mouth for easy loading with covered metal to prevent scratches and a lifetime warranty. A small, travel size can of mosquito and tick repellant is necessary in my region as well as a small pump spay bottle of sunscreen. Always try to buy repellant and sunscreen products in a spray can or pump bottle to keep you from having to touch the product with your hands leaving a residue on your skin possibly affecting your grip on your shotgun. Hand Sanitizer, a small travel pack of wet wipes and lip balm are also items you will find in my range bag. 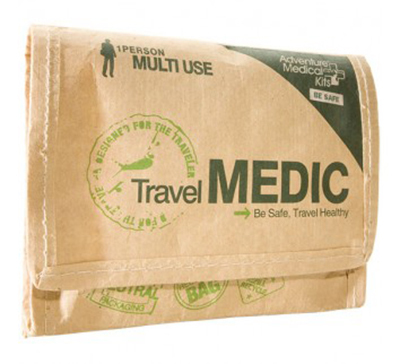 Adventure Medical Kits Travel First Aid Kit is a conveniently sized, lightweight first aid pouch that contains medication for pain, fever, stomach upset and bandages for minor injuries. Many ranges require an empty chamber indicator like a Chamber-View so it is a good idea to keep one of those in your bag in case it is required at the range you may be visiting. A pair of shooting gloves might be something else you may want to store in your range bag just in case the need ever arises. It is also a good idea to keep a bottle of water, hydration aid such as Sqwincher, and a few packable snacks like granola bars, trail mix, beef jerky or a pack of peanuts in your range bag to keep your energy up. These items do not take up too much room and often will store well for several months. 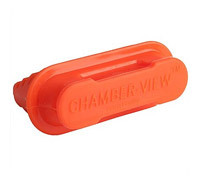 Chamber View is a highly visible empty chamber indicator available for a variety of firearms. 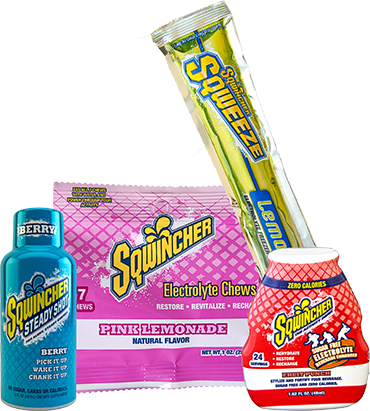 Sqwincher offers packable hydration for those long days on the shooting range. Simply mix with bottled water and hydrate your body. 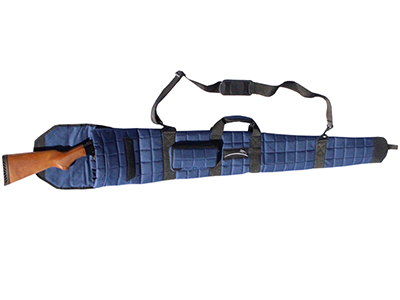 Regardless if you are a gun hobbyist, avid sport shooter, a sporting clays enthusiast or shooting sports competitor; a range bag is an important piece of gear and more importantly what is in it—it can make a difference between a productive day at the range or could be the difference between a chaotic and a well-tuned performance in competition. Pack your range bag wisely and always prepare for the unexpected. Endorsement Disclosure: Per the guidelines of the Federal Trade Commission, the products promoted in this article is an endorsement and the writer may have been compensated by “in-kind or monetary” payment to review the product. All photos/logos are the sole property of its rightful owner and used within this writing solely for the promotion of products herein.